On the back of an established teaching career that founded a passion to provide a homely nursery environment coupled with an exciting and lively Montessori, I opened Wee Ones Montessori Nursery School in 1992. In 2007 I established Wee Ones Day Nursery opening the doors to babies from 8 months and enabling us to provide full time day care. Wee Ones offers Full Day Care through its Nursery and Montessori School for children between the ages of 8 months and 5 years, 5 days a week from 7.30am until 6.30pm. Babies and children at Wee Ones have access to a secure and cosy baby rooms, a spacious and airy nursery, large gardens and Montessori classrooms. 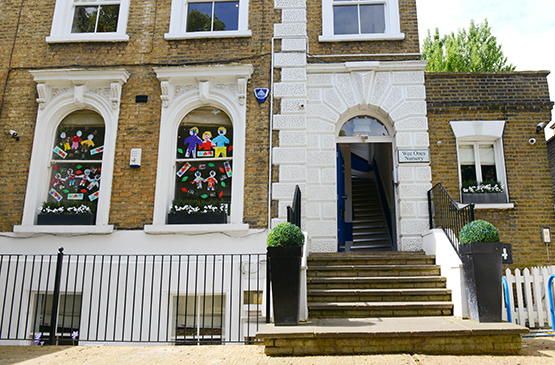 From 2½ years children benefit from the Montessori Nursery School, which forms part of their Full Day Care facility. 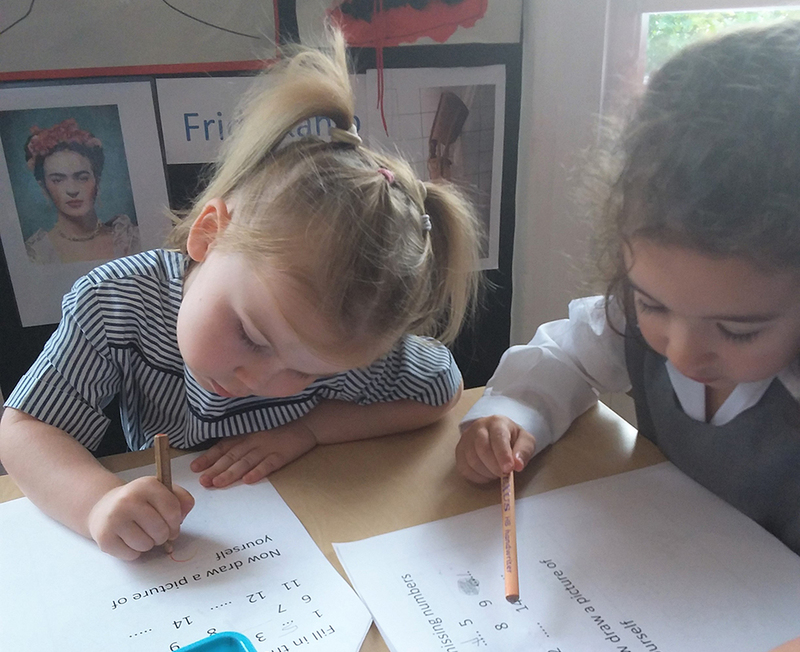 Overseen by an extra team of highly, experienced and qualified Montessori staff, teaching takes place every morning between 9.00am and 12.15pm during term time. Our goal is to provide the children with a continuous sense of achievement and to inspire them to want to learn more. We aim to settle your child into their new environment as quickly as possible making the transition for both mother and child as relaxing and happy as possible. These values are at the core to everything we do and reflect the culture of our environment. We will nurture your child’s imagination and build their confidence through praise, recognition and support. Learning through Fun – Nursery can be a child’s first opportunity to start navigating their way through life. We endeavour to capture their imagination and engage them at all times as they learn. Individuality – No two children are the same so we make sure that their individual needs and requirements are looked after. Enabling Environments - Understanding both physical and psychological environments is key when creating learning space for children. Children learn and develop well when their experiences respond to their individual needs and where there are strong partnerships between teachers and parents. Valuing diversity and promoting equality - We respect and value our relationships with our children, their parents, our staff and our working partners. We promote this principle within all of our day to day activities. Wee Ones has evolved to provide a variety of part time and full time day care options to babies and children between the ages of 8 months and 5 years using a combination of both Traditional and Montessori methods. The curriculum at Wee Ones focuses on three key areas. Physical Development, Communication and Language Skills and Personal, Social and Emotional Development. As children all develop and learn in different ways and at different rates, the children are taught in small groups, where the emphasis is on learning through fun. With large outdoor gardens the babies and children benefit from both free play and structured play sessions on a daily basis and weekly sessions of Spanish, Bilingual beats (language and music) and tennis from external providers. At Wee Ones we place considerable emphasis on the importance of learning through the great outdoors. The environment plays a key role in supporting and extending children’s development and learning which is why we have regular involvement with nature and the world outside our door. Why not visit “Your Child’s Day” to understand more about what the children do on a daily basis and what topics they are focusing on this term. To check availability and register your child for the 2019-2020 Wee Ones Nursery in take.